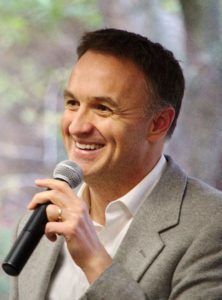 Brian Weidner, President and Co-Founder of Career Tree Network, has been a resource for companies looking for PTs for over a decade. Rather quickly, he figured out that if you’re looking for a PT, you have to be constantly active and working your recruiting plan. Most PTs like where they’re working and aren’t necessarily looking for their next job. However many are what Brian would call “passive” applicants, looking to just “see what’s out there.” If you’re not able to successfully land a new grad or happen to catch a productive PT in between jobs, then these are the applicants that you’re most likely trying to attract. How do you grab their attention? What do you say in your ad, and what do you focus on? Are there any other ways to advertise besides online ads? Brian shares with us the secrets to getting PTs attention and in your door. I have a guest by the name of Brian Weidner of Career Tree Network. Brian and his company have been recruiting physical therapists for over a decade now. He’s the President and Founder of Career Tree Network and is based in Milwaukee, Wisconsin. Since 2007, Brian has helped thousands of physical therapists achieve their goals within new positions. Thus, I wanted to bring him on and see what he can share with us, some of the secrets that he has to recruiting physical therapists. I know many of my colleagues have had a difficult time getting physical therapists especially qualified physical therapist in the door. To some extent maybe they’ve been able to overcome that by utilizing traveling physical therapists or students quite a bit. Making sure they come through on their internships and thus hiring them. Many people might not have that option, especially in smaller clinics. I thought it’d be valuable to bring on Brian to see what else we can do to recruit physical therapists on our team and not only bring them on when we need them, but also have some sitting on the bench waiting to join our businesses. It’s a possibility. I know my partner, Will Humphreys, is great at doing that with our clinics in Arizona. Built a nice solid bench of therapists who simply said, “When you guys have an opening, let us know.” It can happen. Brian shares with us his secrets to the ads you should write, what you should be saying. Other things you can do besides simply posting online. Shares with us these things throughout the interview. He was also kind enough to share with us a PDF of some of the talking points that we have. He’s happy to share his insights. He can even share with you that PDF if you want to contact him through CareerTreeNetwork.com or HireAPhysicalTherapist.com. Nonetheless, if you don’t want the PDF, then read the blog and take some notes. I’ve got Brian Weidner, the President and Founder of Career Tree Network joining me to talk about recruiting. 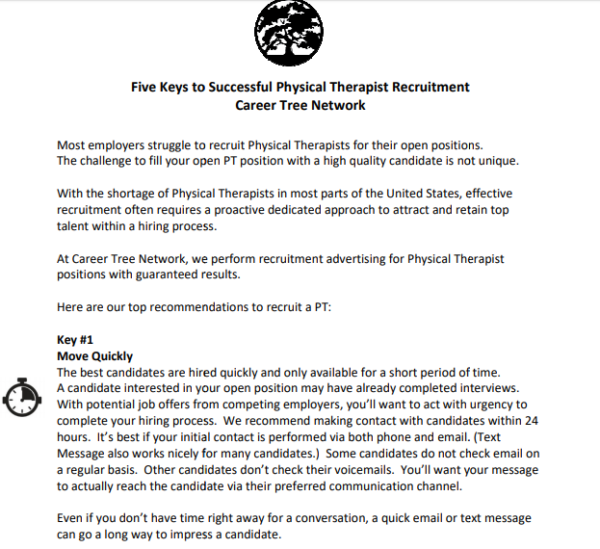 A very common pain point for a lot of physical therapy owners is recruiting your next physical therapists specifically. I’ve talked with a number of guests in the past about recruiting in general. The insight that we’ve gained from past episodes like Jamey Schrier or Dr. Sabrina Starling. They’ve given us some good advice on recruiting talent and whatnot. Sometimes there’s difficulty in getting a physical therapist on board with you. I have Brian Weidner of Career Tree Network to help us talk through that a little bit. First of all, thanks for coming on with me, Brian. Thanks so much. I appreciate you having me on. I’m excited about our conversation. If you don’t mind, Brian, if you could share with us a little bit about where you’re coming from, what got you into the PT space altogether and a little bit about your company? My wife is a physical therapist. Back in 2004, she was graduating from PT school and we are moving to Milwaukee. We were both looking for jobs at about the same time as part of that transition. She sent out her résumé and instantly gets a phone call back from the recruiter trying to set up a phone interview. I would send out my résumé and wouldn’t hear anything in response. Not that I’m a bad guy or a poor candidate, but the need for PTs at that time was pretty significant. Thankfully for both PTs and recruiters and marketers like me, there’s still a big need for PTs. At that point, I had seen that there’s a business here to help other healthcare organizations with their advertising and their attraction of PTs to their organizations. Since they’re contacting Heidi right away, they must be herding for staff to come and join their team. You decided to create Career Tree Network because you saw that. Are you pretty much focused on physical therapists? In 2018, 92% of our projects were for PTs. The remaining were for OTs. We do speech therapists as well. For some clients, we’ve done like nurses, office managers and rehab aides. PT is our primary focus. We want to talk about what to do, how to help that physical therapy owner who’s stuck. They’ve had the ad out there. They’re working their networks. They’re on all the social media saying that they’re hiring, but they can’t get that physical therapy résumé across the desk in order to simply interview them. What advice and what experience do you guys have in working that out? The biggest pain point is when you’ve had the job posted and advertised for a few months and you’re not getting much response. First off would be to take a look at the actual job advertisement that’s being used. A lot of times the advertisement is written from the perspective of a physical therapy owner. Often they’re writing things in the ad. For example, we might say, “I’m looking for the best and the brightest physical therapists to come and join our team. They need to be motivated. They need to be at the top of their class. They need to be this, that, and the other.” First off, when we write the job advertisement, there are certain things that we would do from a screening perspective after someone is interested. For example, if I’ve put in the ad that we need someone who’s proficient in Microsoft Word. Everyone knows that they’re proficient in Microsoft Word. Everybody has a very high opinion of themselves. That’s something that we should screen for on the back end of the process. A lot of times also because physical therapists have so many options for their career, we wouldn’t want to try and scare that person off by putting in there, “We need the hardest working physical therapists to come and join our team.” You can screen for some of those characteristics after you have someone who’s interested. What wording would you recommend? Should we maybe take a different perspective and consider what our ideal candidate would want to see or hear? Are there some things that you recommend to the owners in how they write an ad? Physical therapists are for the most part very detail oriented. They’re looking at researching jobs. They want to learn the details about the position. Sharing with them as much information as we can about the actual logistics of the role is important. I would focus my time on that rather than trying to sell someone that your clinic is a great place to work. Within the ad, I would try and focus on what are the actual logistics. I spoke with a clinic owner. She was looking at a certain work schedule that they needed someone for. Within the advertisement, I recommended that they include the actual work schedule, what time would the person start? What time would they finish? Do you need someone to work weekends? What are the actual logistics of the position? Where’s the position located at? If there are multiple clinics, how would the PT spend their time between the clinics? What’s the percentage? What are the addresses of the locations? Instead of like a job advertisement, it’s more of a description of what the position includes and what’s unique about it. You’re almost putting in the job description on the ad. I talked to Jamey about how we can write our ads nowadays because everyone is going to say they provide quality care and the patients and all that stuff in a fluffy ad that they might cut and paste. Nowadays, they probably learn a lot from your company already if they’re interested in going online. They’re going to check your website, which you guys have done. They’re going to see if you put any recent blog posts. They’ll get a clue as to if you’re doing team activities or if you’re working with the community and that stuff. I’d assume that they’re doing some of this homework already. When it comes to the ad, maybe it is more of listing some of the details related to the position at the company. For PTs, they’re looking at what’s the work schedule. They don’t need to necessarily be sold. There’s a lot of skilled nursing ads. It seems like every single job advertisement for a skilled nursing facility, it describes that facility as state of the art. Every single skilled nursing facility I’ve ever read a job advertisement for they’re all state of the art. Why is that the case? What are the technologies used? What’s unique about that? One thing that I’ve seen as well as within the advertisement, we don’t want to list the essential functions of the position within that ad. Physical therapists already know basically what they’re going to be doing. We don’t have to list things like must be able to lift 50 pounds, must work with PTAs, all the legal description of what the job would include for the most part. You can skip over that as well. Have you seen candidates looking for certain things that they didn’t look forward ten years ago? Maybe for some of my older owners who have been looking for PTs for years, they had an ad that worked well for them, but maybe it’s not working so well now. I’m wondering if there are some trends that you see in the PT candidates themselves that might be able to hook them. There are a lot of student loans out there. If a clinic is able to offer some student loan repayment package, that’s important. For a lot of our clients, a buzzword that I’ve heard in the last six to nine months is about passion projects. If you’re a clinic owner and you would support your therapists to pursue passion projects based on their specialization. Within that, we’re basically talking about allowing the PTs that you’re hiring to build their own specialty within your clinic. That’s attractive for folks because then it gives them the opportunity to have the feeling like they can control some of the caseloads. There might be a general outpatient ortho population at the clinic. If a PT has an interest in running or women’s health or whatever it might be, they might be able to build a caseload within that niche as well. Do you recognize that continuing education is important to them or the schedules like you talk about knowing what your hours will be, and some of the team cultures? Is any of that necessarily coming up as important to these people? You’re making a statement, but then you’re backing it up with facts which would be appreciated. With the work schedule, there’s a balancing act there because everyone prefers a flexible work schedule. If I have to take my daughter to dance class at 4:30 on a Tuesday night, is that going to be possible or do I have to see patients at that time? Being clear within the ad around what the work schedule is if there are set hours that you definitely need someone for, but if it’s flexible then I would list that it’s flexible and try to keep it like that. You can list within the ad what the hours are that would be needed or some clinics might list the salary as well. I personally wouldn’t recommend that necessarily. The best candidates are not going to be concerned with salary. That’s not going to be the primary driver for them. Most smaller clinics are not going to be able to compete budget-wise with a larger organization in terms of salary. From a competitive advantage, the ad would be better if it didn’t get into the salary. The other angle on the advertisement would be to look at what’s unique about this position, what’s unique about your practice, and how can we play that into the pain points that a PT might be experiencing somewhere else? For example, one avenue might be, “We are a small family-owned private practice. We value our employees. We consider them to be part of our family.” Someone coming from a large hospital system, for example, they might appreciate that because their current position doesn’t provide that. If you think about like what are the possible pain points, why would someone leave their current position, you can maybe write in your job advertisement to play into that. We talked a little bit about active versus passive job seekers. What are your thoughts? Do you recommend either trying to recruit or creating an ad that is specific to one versus the other? The majority of physical therapists are relatively happy in their current position. They’re not actively looking. They probably don’t have a résumé updated. We would call those folks passive job seekers. They’re open to considering a new position, but they don’t necessarily need to leave their current employer. Where like an active job seeker, if you think of a new grad searching for their first position or maybe it’s someone that was frustrated with their current employer for whatever reason. They’ve decided, “I’m going to leave. I’m going to update my résumé. I’m going to start checking websites.” The majority of PTs probably 75%, 80% are passively open to considering something but they’re not actively looking. When the job is posted, people say, “I’ve been advertising my position for six months, but the position is only online, but someone has to go out and see it. Where if you can be more proactive with your advertising and marketing approach, you can reach PTs who are out there that may consider a new position. We all want active candidates. It’s easier to work with an active candidate because they’ve decided that they’re ready to leave their current position. Those passive candidates, they tend to be higher quality because they’re working. They’re happy. They’re performing. The best way to do that is to be more proactive in terms of your search. One strategy would be to always have a recruitment presence. Maybe you have a job advertisement that is always up on your website. If I’m looking at some point down the road, I’ll go and I’ll research the clinics in the area. I’ll see that this clinic has mentioned that they are looking to potentially hire someone. You can have a continual presence that might help, but the other angle to take is who is our ideal candidate. How can we contact them proactively? If you’re using LinkedIn or other social networking accounts, you can send messages or request to be connected with other PTs on LinkedIn. That’s often a great resource because people who are career-minded are using LinkedIn. If there are PTs that are taking their career as a PT seriously, they’re potentially going to be using LinkedIn. That’s often a good way. I’m not saying like post your job on LinkedIn, but actually individually search and message people on the website. If you can get to that point, then we knew we were winning the game. One way to do that is to constantly be recruiting, be at the fairs, be at the student affairs, and always have your job ad up. We would actually do monthly group interviews for the people that aren’t PTs. That was an example of how we were constantly interviewing even if we didn’t have a position open. You don’t get stuck in that hair on fire, stressed out mode, taking in whoever’s breathing as they come in the door as the next person in your clinic. I like your point about the career fairs and getting in at the colleges. In terms of marketing and having that active audience of PT students is great. Once a person becomes a PT, it’s likely that they’re going to work as a PT for their entire career. We don’t see PTs often stopped working as a PT and become a plumber or some other career path. Once you’re a PT, this is your life. This is your profession. When you’re looking at from a student perspective, you have an opportunity to network with such a large audience of students that are going to be physical therapists for their whole career. You bring up a lot of good points like some organizations think that there’s this mysterious cloud of physical therapists out there. We know who are the physical therapists based on the licensure data. We know exactly if we’re recruiting for a physical therapy clinic in Macon, Georgia, we can do a zip code radius and we can quickly identify the individuals who are living in that area who have a physical therapist license. Even as a clinic owner, you could obtain the licensure list of physical therapists around your area as you could do direct mail. You can have your assistant call them or send them text messages or email them. There are a lot of things. They’re very time-consuming. From a recruitment perspective, even if it’s a great job ad, posting the job and hoping that people see it is oftentimes a losing strategy. You can be active in a number of different ways, whether it’s LinkedIn, social media, you’re going to find people who are serious about their career. I’ll have a constant job ad presence. I know something that my partner, Will, did that was successful was constantly sending out monthly emails via MailChimp. Telling a little bit about the company and what we’re looking for. Even if we weren’t hiring, have a nice thing that said, “If you respond, I’ll send you a $10 gift card,” and stuff like that. Those kinds of things, be active as you’re doing it. The thing that helps is if you can make it a system and not have to come up with content all the time every month. Maybe lay out a program of, “This is what I’m going to send once a month,” and create the content ahead of time. It’s a little bit easier to follow the system instead of making up stuff as you go. Focus on a couple avenues, create the concept for that, and set it on a schedule and go. Did you guys ever do any networking events? That’s one thing that a clinic might try. It would be to host a physical therapist networking session at their practice for people that are maybe interested in career opportunities or maybe want to meet other physical therapists. Maybe it has a continuing education focus or maybe not. We never did that. I like your idea about hosting continuing education courses because I’ve been to plenty of clinics where they were doing a continuing education course. I wanted to learn about the clinical hours there even though I wasn’t looking for something. That’s a natural. Doing some networking is great. We did a couple of social hours, happy hour things where we rented out of a place at a local restaurant for an hour or two, between five and seven or something like that and invited everybody on our list to come and join us. That was it. Socialize and things like that. Those live events are great. It helps to build the culture as well and show candidates what your culture is like. Also, from a marketing perspective, it gives you an opportunity. It gives you a reason for that contact. If you’re trying to recruit someone and you have a list of people that are in your targeted area. What do you say every single time you reach out? “Do you want to come work for us? Are you open to a job?” If you have the continuing education event, you can say, “We’re hosting an event next month. We’d be excited if you would come to join us.” It gives you a great lead-in to invite them to something. I remember one person we recruited. We were successful in doing so. We invited her to come to one of our clinic’s annual parties. Either they broke a record or it was an anniversary type of situation. We were getting together at Topgolf. We invited her to come to that. She got to meet the team members in a relaxed atmosphere. “We’re cool. We can do this,” but then also talk about business. Our employees, especially ones that were good employees would come by and say what a great place to work for. That was successful on our part. You can have anything you want to know in your advertisement about how great a culture you have and all that. If the PT actually comes and experiences that firsthand, that’s the ultimate situation. One other idea with those passive candidates would be to always move as quickly as you possibly can within the hiring process. If you think about someone who’s passively interested, if they’re not cultivated and if that relationship isn’t built in a quick manner, then that person loses interest. If you think about it, if you’re going to go shopping for a car and you go to the car dealership, you’re almost instantly greeted by a car salesperson once you arrive on that lot. They engage you in the process as quickly as possible. For passive candidates, they may or may not leave their current position. They need that nurturing in order to encourage them to actually make a transition. Contacting them within 24 hours of their initial interest, trying to move quickly through the hiring process, following up with them via multiple channels like email, phone, text message. It’s a mistake that often times we’re busy. We have the job advertised. We have this person that says they’re interested but says, “I don’t have the time. It’s not the top of my priority to contact them right away.” That interest is very fleeting where they’re only interested in that one period in time. We need to jump on it as quickly as we can. Strike while the iron is hot. One thing that we found is that once we started hiring some of the high-level students, we started getting a good reputation among the other students. Usually, they run in packs. The good people will hang out with other good people. The productive people, they like to stay in a group and they socialize amongst each other. They’ll spread the word around. Once you can get in with a couple of them, they start telling their friends, then you can build a reputation that helps the marketing efforts altogether. Do you have any recommendations on where the salaries might land for PTs at different stages of their careers? At this point, we don’t have any salary data that we keep in terms from our clients or the projects that we work on, but some good resources to check out. The APTA has some nice resources broken down by geographic area and practice setting. I’m not sure exactly how they get the data, but that would be one avenue to explore. Otherwise, we typically recommend Salary.com for people to look at. One caveat, if you’re looking online, like for example, Salary.com, most of their traffic comes from physical therapists or people in general. It’s not a physical therapy specific site. Most of their traffic comes from individuals who are wondering, “Am I being paid fairly?” They go to Salary.com and they take the survey. Salary.com also has job advertisements as their primary way that they make money. With that, they tend to overinflate the salary data that they’re providing such that a person going to their site would then say, “It says I should make $80,000 a year and I’m only making $65,000.” That candidate would go to the salary job postings and click on the job postings and everything. I’d say it’s interesting that we’ve noticed that salary data, when it’s from a source that also makes revenue from job advertising, is sometimes a little bit awkwardly skewed in order to promote for a candidate or for a possible candidate. They’re not getting paid as they should be. I liked what we’ve covered thus far, asking people to take a look at their ads and being more actively engaged in their recruiting efforts on a regular basis, not just when they need somebody. Are there any other common pitfalls that you see amongst owners that you could share? 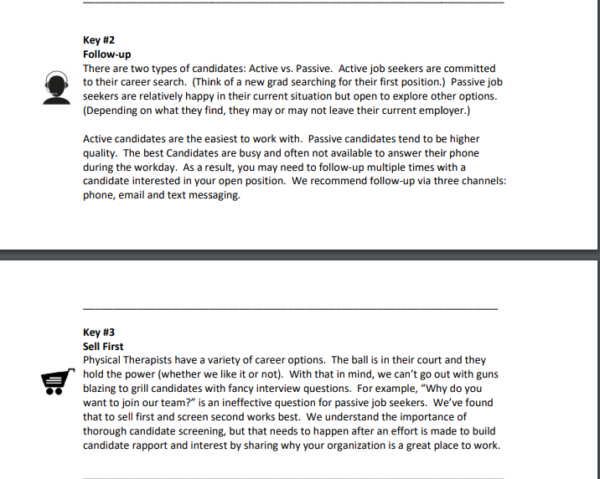 With the active versus passive candidates, we definitely want to do the interview process and thoroughly screen people. We have to keep in mind for physical therapists, they have a lot of different career options. The ball is in their court. Whether we like it or not, they hold the power in the process because they have so many options. That’s pretty uncomfortable for a lot of private practice owners because if I’m doing the interview process, I want to be able to ask the tough interview questions. I want to be able to evaluate candidates very rigorously. I want to make sure that I’m hiring the top quality person. We want to ask interview questions like, “Why should I hire you? Why do you want to come and join our team? What’s your biggest failure? We want to ask those questions that we see on TV that make us feel good about having that control over the interview process. A better way to look at it is this a good mutual fit from both sides and trying to build that rapport, build that interest level from the candidate. 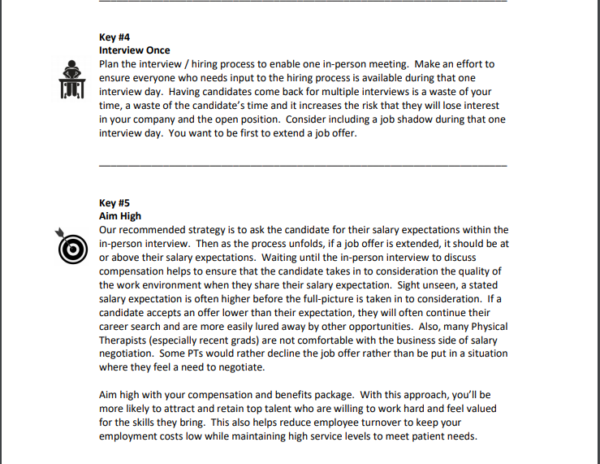 After that candidate interest is built, then would we start asking some more difficult interview questions. I call it like sell first and then screen later. The first part of the interview process would be to try and sell that candidate on why this is a unique opportunity, what the clinic can offer. Only after a period of time can we start adding in those more difficult questions. It’s important to hire the top quality people but we need to build that interest first. You feel like you want to be the interviewer that’s tough. It’s going to stress them and make them think and that stuff. It’s like you brought up this entire time that a lot of these physical therapists are passively looking. Not many of them are actively looking. If you happen to catch them at the right time, then you’re pretty fortunate. The majority of times they have a passive interest. They’re seeing what the market is like and are probably relatively happy where they’re at already. To come in a little bit hard with your questions can easily drive them away because if that’s not what you are, then you’re presenting a false front. People might not want to be in a situation where they’re going to be talked to like that. You need to be aware of. One subtle difference. It’s about how we ask the interview questions. If this was something that happened to us that I learned from, but I used to ask candidates, “Why do you want to leave your current position?” It seems like a reasonable thing. You’re talking to a recruiter or we’re talking about a job. Why do you want to leave your current position? The reason why it was a bad question was that the candidates said, “I don’t necessarily want to leave my current position. I might not leave. “They made a very firm statement, “I’m exploring this. I have choices here.” That’s what they were trying to portray. The way to ask it a little bit differently is, “If you were going to leave your current employer, what would be your motivation to make a change? Why would you be doing that?” You’re moving from the interview process. You’re giving up some of your control as an interviewer to make it a more acceptable and a softer process for the job seeker. That opens up the interview or at least opens up for the interviewee to consider what they like about their current position and what they don’t like. Maybe even open up the floor to see if what they’re looking for is at your clinic or your company and see if your values are aligned. Is this a good fit? That’s a much bigger question to get to the heart of that. Why are you leaving your clinic or why are you leaving your current company? To assume that the person, even though they are meeting with you for the interview, we can’t assume that they’re going to leave their position. They have options. They might stay. They might go somewhere else other than your practice. Having that mindset is important. 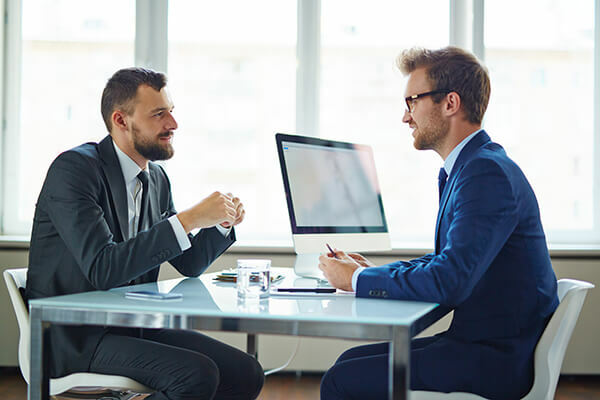 With the offer process, after the candidate is screened and after the interviews are conducted, we want to keep in mind what I talked about in terms of moving quickly through the process. Ideally, my recommendation is to try and have the candidate do one day worth of interviews. If there needs to be a job shadow or other people involved in the interview process to try and schedule that to take place all in the same day rather than inviting the person to come back. I’m not talking about changing the process or deleting any steps. I’m not suggesting to be loosey-goosey with the hiring process. Recruiting PTs: Oftentimes the first employer to make that job offer is the employer that will eventually hire that candidate. Work quickly. I can see the benefit of that because I would never ask anyone to do an interview without doing a work interview or some shadow so other people can get their eyes on this person and put in their two cents as they work with them on the floor especially if there’s an opportunity for peer to peer shadowing and not necessarily you, the owner or the interviewer doing the shadowing. If there’s an opportunity for them to sit with them, talk with them, get to know them and see how they interact with patients and their tone levels and stuff like that. If they have a chance to do that, then that’s invaluable. I would never want to skip over that. To do it rather quickly would be a benefit to you for sure. Anything else you want to share with us, Brian? I appreciate your insight so far. Thanks so much. This has been a lot of fun. In terms of other elements, moving quickly is the one that is probably the most important because it ties in that active versus passive candidate, ties in that, but also, if you can respond to their inquiry within 24 hours, it shows them the value that you place on your employees as well. If I’m a potential candidate and I say, “I’m interested in your practice.” You don’t get back to me for a week, that tells me that you don’t care about me necessarily as a candidate. Maybe that’s how you treat your employees as well. If you respond to me quickly, if you build rapport with me during the interview process, if you follow up, treat me well and then I’m going to feel like this makes a lot of sense. Moving quickly is a little bit counterintuitive as well because we had a situation where there was a candidate who came forward in December for a position and the clinic was interviewing that candidate. We sent over another candidate on January 2nd, but the clinic never contacted that second candidate because they liked the first candidate. The first candidate went through the interview process. They extended the job offer to her. She declined the job offer. They’re going to try and contact that second candidate for the position who’s been waiting to be contacted for 25 days or whatever. We’re in a situation where why didn’t you contact me 25 days ago? That’s the other side of it is when you have a person interested, you want to continually recruit additional backup options. Even if you have a good person lined up, you would still want to pursue the other options and move as quickly as you can on the second choices because you never know when it’s going to turn into your first choice. Some people might even say if you only have one position, feel free to hire two of them and get rid of the one that you don’t like after a few weeks. Maybe a little bit harsh, but I have heard that recommendation out there as well. If people wanted to get in touch with you, Brian or with Career Tree Network, how would they do that? Our main website is CareerTreeNetwork.com. Otherwise, we created a second website for practices and organizations that are hiring physical therapists and that one is HireAPhysicalTherapist.com. That one has all the information. I’m always happy to give advice too. Thankfully, we’re a small company. We have a pretty small loyal client base that keeps us busy. From a sales perspective, I don’t have to sell thankfully a whole lot of our services. We have a pretty good organic client base. I’m always happy to give advice as well. If anybody wants to bounce ideas around or whatnot, this is all I think about all day so it’s fun for me to talk about it. They can contact you through the websites or are you on social media as well? On that HireAPhysicalTherapists.com, they can book a phone call with me right through there. Otherwise, on LinkedIn and Facebook and everything too. Thanks for your time. I appreciate the insight you’ve provided. Thanks a lot, Nathan. It was a lot of fun. 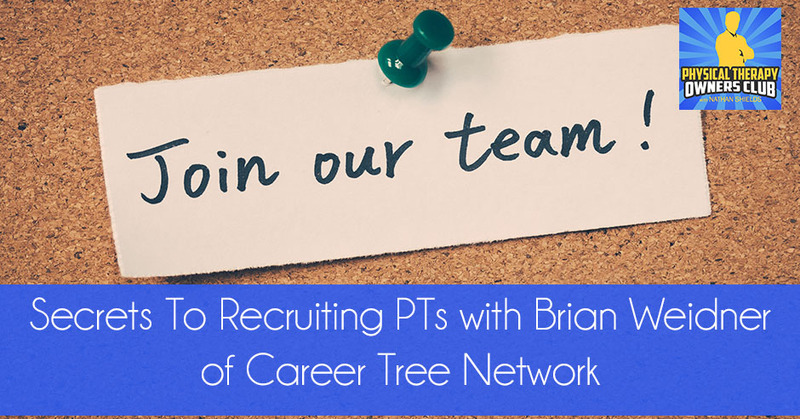 Brian Weidner is the President of Career Tree Network, a recruitment advertising firm based in Milwaukee, Wisconsin that helps Physical Therapists connect with career opportunities. Since 2007, Brian has helped thousands of Physical Therapists achieve their career goals within a new position. Outside of the office, you might find Brian playing princess with his daughters, watching heist movies or eating sushi.